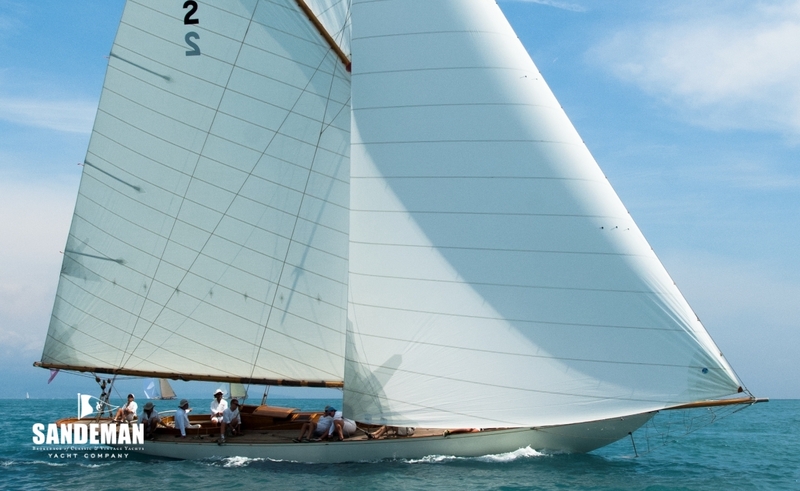 KELPIE is a race and regatta winner designed by Alfred Mylne, and one of the most beautiful and fastest classic yachts of her size. 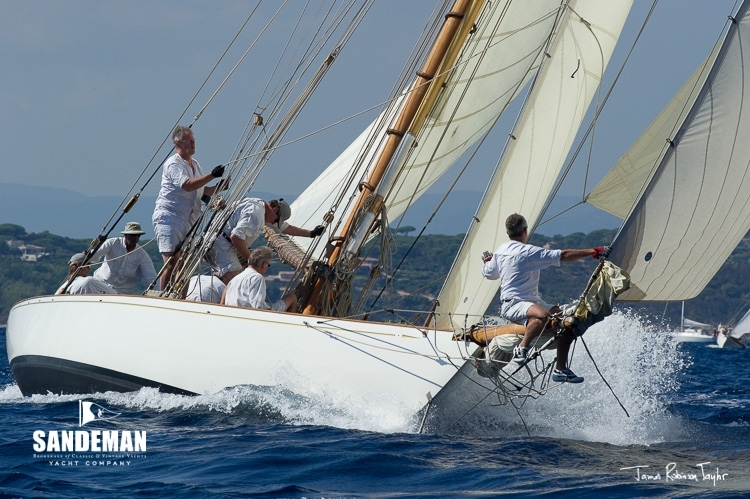 At the close of the intense 2018 Mediterranean classic regatta season she notched up 1st overall in the Vintage Gaff Class at both Régates Royales - Trophée Panerai, Cannes and Les Voiles de Saint-Tropez, while still looking in start of season condition. Only typical of the way this superb Golden Age of Yachting survivor has been cared for and campaigned under present ownership, including undergoing three major winter refit/ restorations 2009-2012 at Fairlie Restorations - probably the last such work by the illustrious team involved in landmark rebuilds of yachts like TUIGA, THE LADY ANNE, KENTRA, MARIQUITA and HISPANIA - all whilst continuing to sail by summer. 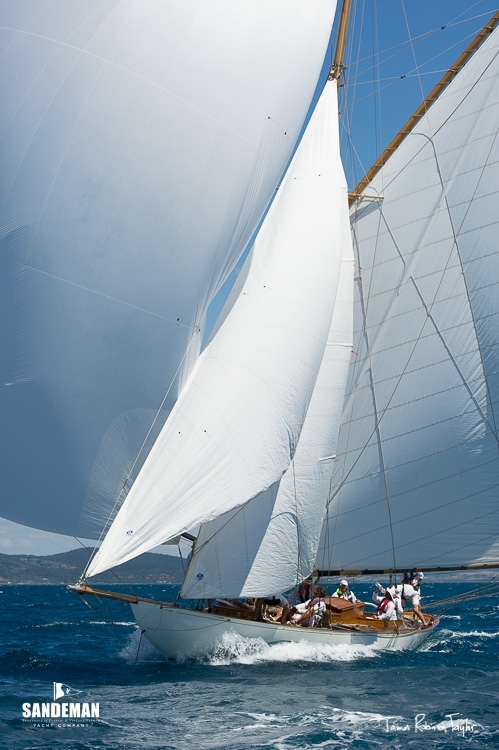 More recently KELPIE has enjoyed a major rig makeover 2017-2018, and is ready to continue sailing, racing and thrilling. Her recent success has been achieved crewed mainly by family and friends - are you ready?! 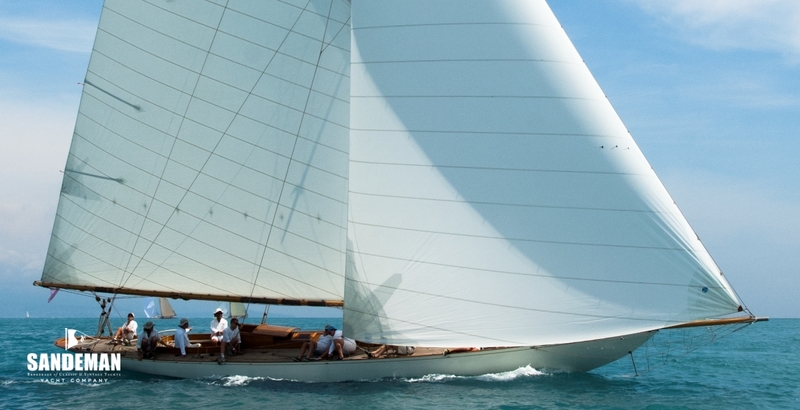 Born to race, KELPIE’s roots offer sure proof that her still relatively young designer’s light was shining very brightly far from home waters five years after his breakaway as understudy to mentor, GL Watson. 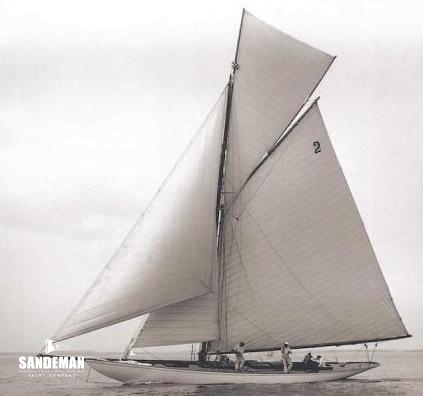 So much so that a group of south coast of England yachtsmen would commission a Scotsman not called Fife to design an important, large-dimensioned one design class for Solent waters – the South Coast One Design. 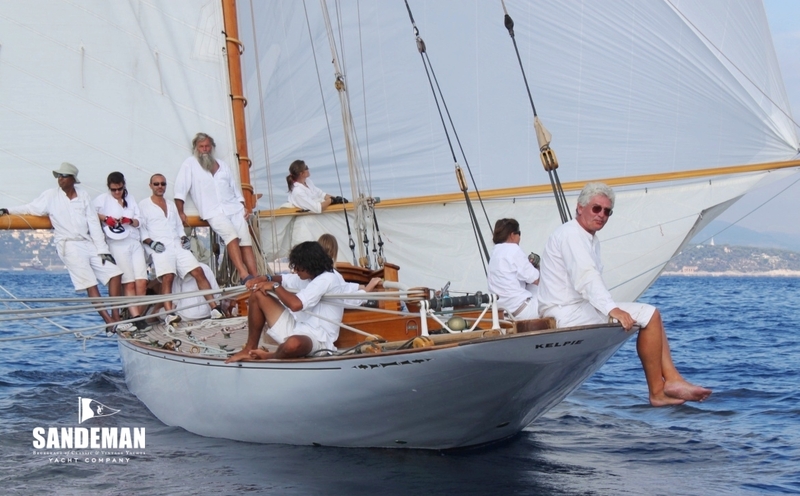 The Alfred Mylne story is also intertwined with that of KELPIE’s commissioning owner, George Coats, one of Scotland’s serial yacht owning “Paisley thread Barons”, with addresses in Ayrshire, Aberdeenshire, Park Lane and Mayfair. 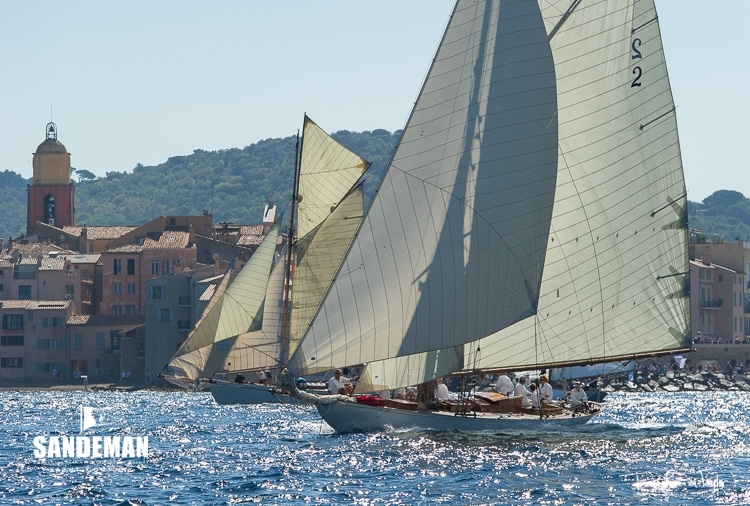 Coats’s nephew (later Sir) Thomas “Tid” Glen Coats worked with Mylne and designed yachts in his own name, and his uncle’s social whirl revolved as much around the south of England as it did the west and north east of Scotland; a daughter would marry the 5th Duke of Wellington. Perhaps it was inevitable that one of the new class would be owned by a Coats. 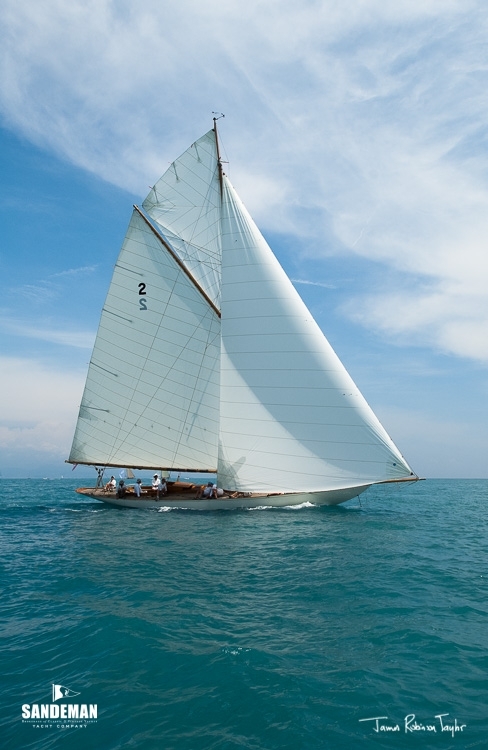 They owed their origins to the genesis of many one design classes: dissatisfaction with the rating rule of the day, and a desire among a group of keen Solent racing yachtsmen for a wholesome but fast yacht that would offer comfortable accommodation and not tear itself apart after a couple of seasons. An earlier Mylne commission from Clyde yachtsmen similarly less than enamoured by the rating rule, the successful, slightly smaller Clyde 20-Ton One Design Class, may have led to Mylne getting the job. 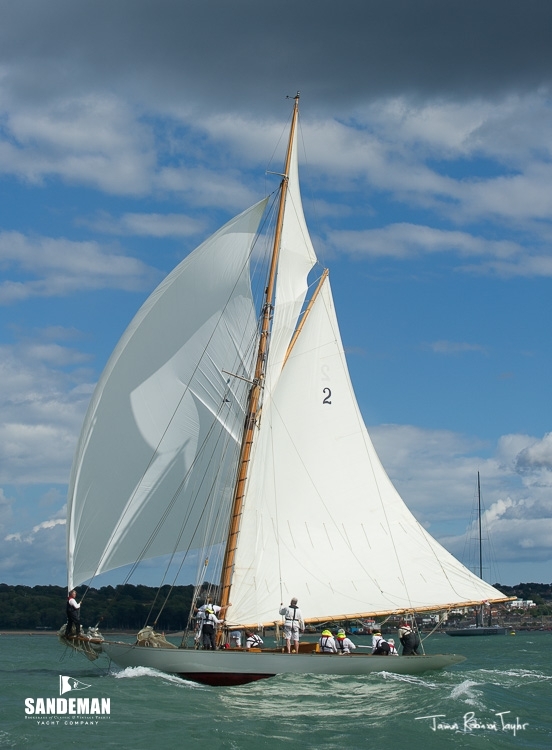 Certainly, his result for the Solent was an untrammelled work of art: free from the bounds of any rating rule, with a hull form true to the “Britannia ideal” and everything else the designer had learned working closely with Watson on the design of America’s Cup challengers and famous big class yachts. 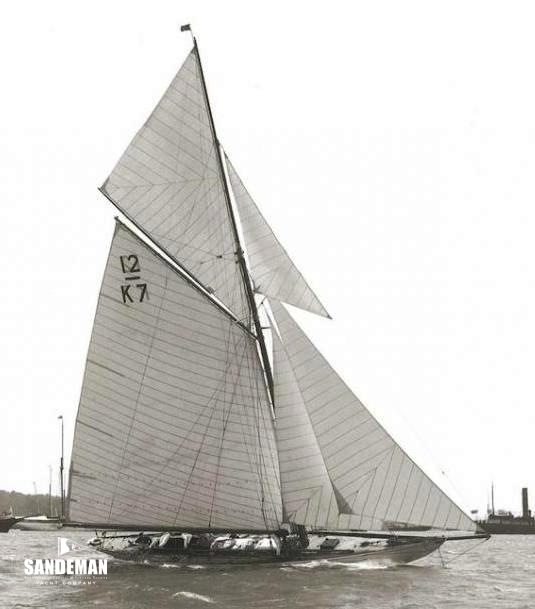 After but a few races on the south coast, KELPIE sailed most of her seven seasons under George Coats’s blue and white chequered racing flag on the Clyde, eventually being sold in 1908-09 to Glasgow jute merchant James Paterson. 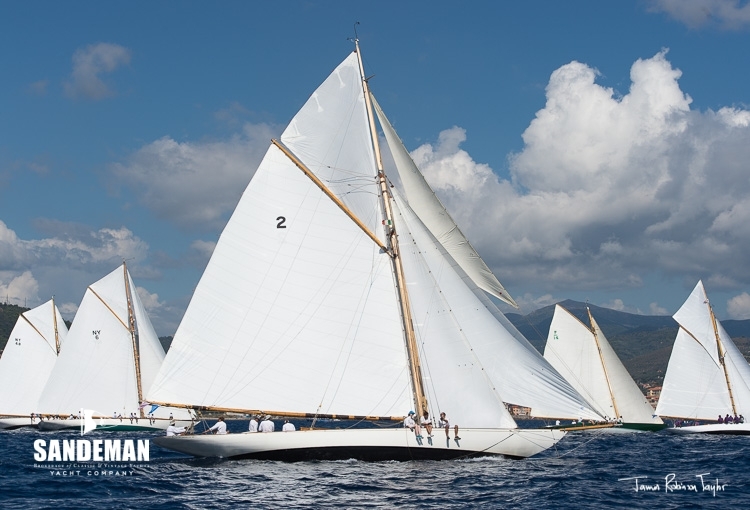 By this time the new International Rule metric classes were gathering momentum and Kelpie had earlier had her rig adjusted to rate as a 12mR on the Clyde in some of the earliest races sailed in that class anywhere. Before the sale to Paterson, George had taken delivery of his new Fife 12mR ALACHIE, and the days of racing as a class by KELPIE’s sisters 'down south' were numbered. 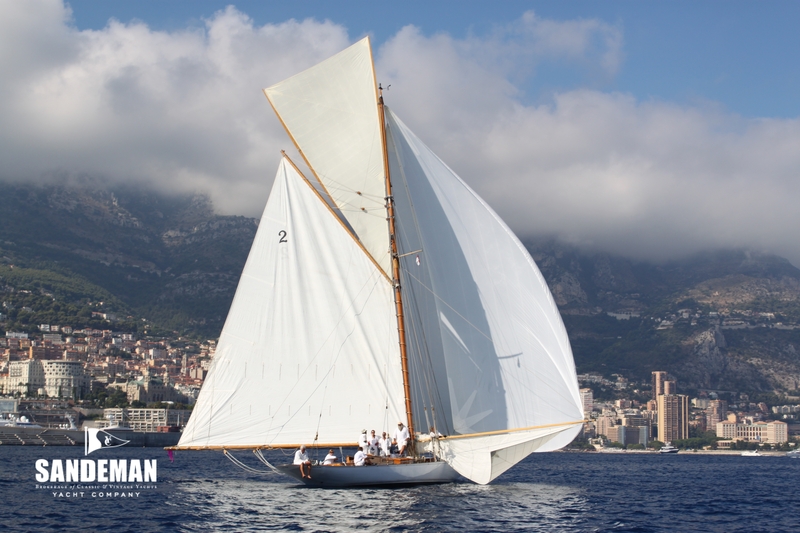 After a period of ownership by Glasgow brassfounder Thomas Burt, in 1922 KELPIE returned to the south coast where Austin O’Connor raced her with the still mostly gaff-rigged 12-Metre class during the mid 1920s, before conversion to an auxiliary cruising yawl in 1925 by London-based Donald G Freeman. 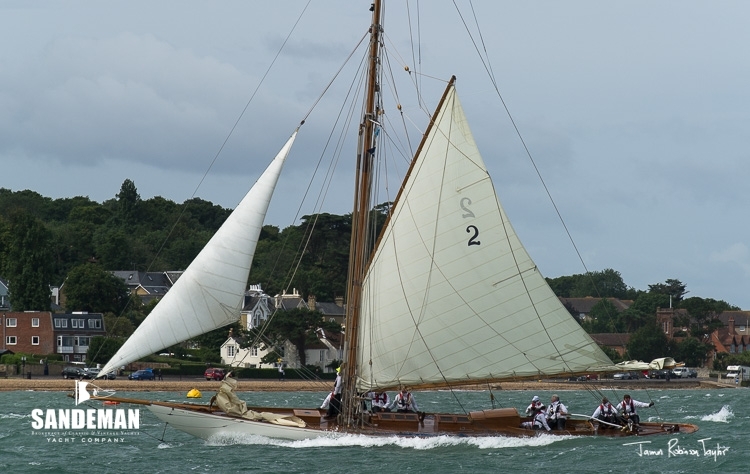 She remained a yawl through various 1960s to 1980s south west, and south coast of England ownerships, moored at Dartmouth and on the River Yealm - even owned briefly by sailing school - and at Cowes - in the care of shipwrights Adrian Stone at Cowes and Nash & Holden at Dartmouth. 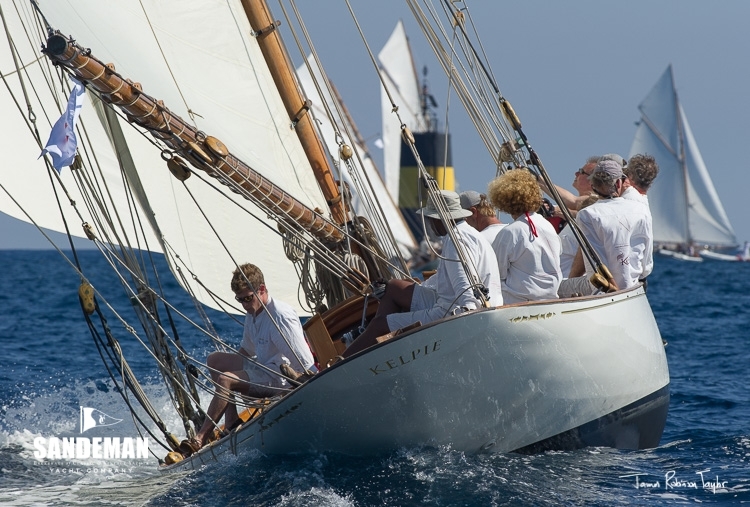 KELPIE’s gaff cutter rig was restored in relatively recent times, and when owned by Richard Bendy in the first half of this Century she became well known again at Solent regattas. 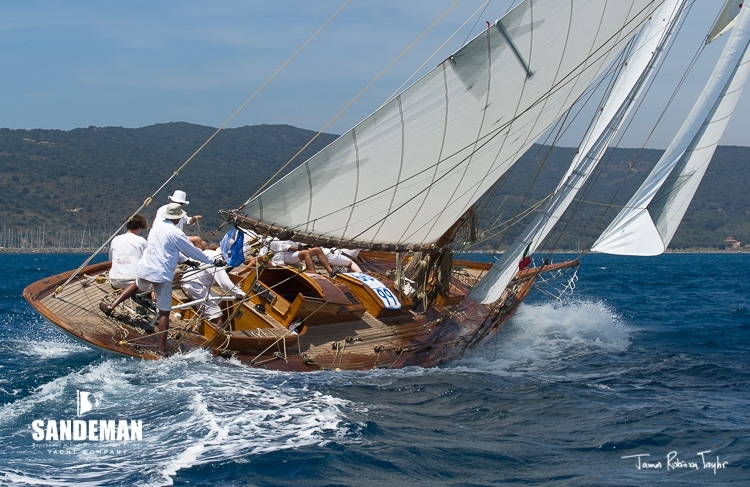 Her restoration and refit under present ownership is recorded under “RESTORATION 2009 - 2012”, and her 2009 - 2018 regatta history is discussed above. - Simple 12v Electrical system with 220v shore power charging and supply. - 1x Fortress Anchor, Warp.